We have a lot of FUN events planned for this holiday season! We will be posting full details very soon, but be sure to mark your calendars now! We will be teaming up with sMiles 4 Sammy and Dell Children’s Palliative Care Team again for our 3rd Annual Angel Ornament Celebration on Thursday, December 8th from 6-8PM. This special event is a celebration of all the lives of children that have moved on. We share stories and make special keepsake ornaments over enjoy dinner. This event is open to families that have lost a child due to medical conditions and/or illness. We have partnered with Dell Children’s Palliative Care Team again this year for our Special Needs Holiday Party (Casey’s Christmas) Sunday, December 11th from 2-4PM. This event will require registration, but as always this event is FREE for all families with children that have any special needs. Registration will be available online soon- check back for more details to come. We hope to see you all soon! Check back here or on Casey’s Circle Facebook page for more details and registration links in the near future. Fall is in the air and that means one thing- our book drive is in FULL effect! We gladly collect books all year, but during the fall we really step it up a notch. We are starting to plan our annual Special Needs Holiday party. The party will take place in the main Live Strong Auditorium at Dell Children’s again. Contact us by sending an email and we can work out a time and place to pick-up or drop-off your personal donation. Do a book drive in your office, church, classroom, etc and let us know so we can be sure to says thanks and set up a time to pick-up the books. If you would like to donate money to go toward book purchases, you can always do that as well. We have a ‘Special Needs Event Fund’ as one of the options on our Donate Page. The Special Needs Event Fund goes towards books, decorations, and other fees for hosting events through out the year. You can add a note if you would like your donation to be strictly used for books. We try to have a few books for each child and their siblings from Santa. For many kids that attend, this is their only holiday party and their only opportunity to see Santa, so we try to make is as special as possible. As we have done in previous years, all books not used as Santa gifts are then donated to the Dell Children’s library and handed out to children that are in the hospital. We have already lined up Santa, a holiday music sing-a-long with the amazing Danielle, Curious George, a wonderful photographer, crafts, snacks and much more. Our biggest needs now are books, books and more books. Please help by donating your new or gently used books, and please encourage others to do the same. Thank you for your support. The party is scheduled Sunday, December 11th 2-4pm. We will be collecting books through Monday, December 5th. Stay tuned for ticket information and more party details. We had so much fun celebrating Friendship Day! We received lots of entries for our photo contest and could not pick just one winner. We decided to add 5 runner up prizes as well. I just dropped the runner up prizes in the mail, and as soon as our shirt order is ready I will get the grand prize mailed out too. We are looking forward to celebrating again next year. 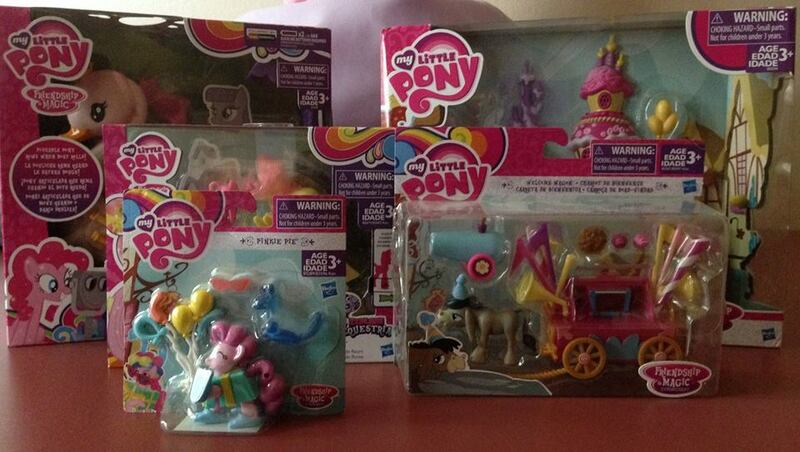 My Little Pony, and Litzsky Public Relations were so great to reach out and offer us additional prizes to include. Casey would be thrilled to know MLP knows what a huge fan she was.